When Bositu’s twin boys were three months old a government health worker visited her home in Goudaguda, a small village nestled amidst paddy fields in one of highland Orissa’s green valleys. She carried a weighing scale and a government issued weight graph. After examining the babies she told Bositu that they, like over 50 % of children born in the state, were underweight. In one of the village’s Adivasi enclaves Bositu and her husband stood out by virtue of his government job as headmaster in a neighbouring village school. He had heard of a special drink, Horlicks, which was meant to have health benefits for babies and children. The cost of one jar of the drink powder was 135 rupees. Each month for the next three months, Bositu’s husband travelled one hour by bus to Koraput in order to purchase the powder. It came in a brightly coloured jar, packaged in a shiny blue cardboard box, with Horlicks’ “five signs of growth” (more bone area, more muscles, better concentration, active nutrients and healthier blood) pictured on its side. Each morning and evening Bositu mixed the powder with milk from their cows and fed it to her sons from a bottle. By the time the babies were six months old, she thought they were looking plumper and healthier. Now they were ready to begin eating rice they would not be needing Horlicks anymore. We are currently in rural Orissa, where the infant malnutrition rate is considered amongst the worst in India. Here multi-national food and beverage companies are beginning to work together with NGO’s and the state government to market “functional foods” and other “nutraceuticals” to the rural poor. The nutraceuticals sector in India, which includes functional foods, functional beverages and nutritional supplements, is seen as a major growth area for the economy, with a current growth rate of 18% and an envisaged latent market of 148 million customers (Ernst & Young, 2012: 25). An urban, middle class market for products that cultivate “wellness” amidst growing awareness and fears about non-communicable diseases is well established. This is where the malt-based health drink Horlicks, owned in India by the pharmaceuticals giant GlaxoSmithKline, has made its mark with a 50% share of the “functional beverages” market. Originally developed as an infant milk substitute during the 1870s in the United States, and then given to service men and women as a health supplement during the Second World War, before gradually receding into insignificance in the family drinks market, Horlicks has had a recent relaunch in India with specialist lines for school children, women and expectant mothers in a variety of flavours. Horlicks is currently the top selling packaged beverage in India after bottled water and sales are double that of Coca Cola and Pepsi. Now food and beverage companies like Horlicks are seeing an opportunity for market expansion at the other end of the market, amongst those who have neither a sufficient calorific nor nutritional intake: the “rural poor”. As the rising costs of healthcare in India put curative medicine further out of reach for those living on less than two dollars a day investment analysts anticipate that they will become increasingly attracted to consumables that promise “wellness”. 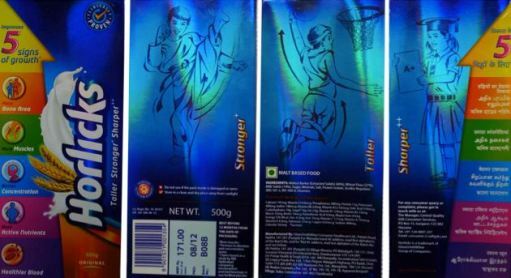 In 2009 Horlicks began marketing an affordable brand, Asha, to be sold in 2.5 rupee sachets, in villages across Andhra Pradesh. Pepsi is currently conducting market research for a new “nutribar” targeted at malnourished and nutrient deficient children. Coca-Cola is rolling out a new powder based micro-nutrient drink, called Vitingo, across 30 districts in Orissa. Orissa has long been a hotspot for NGO, government and bilateral aid interventions around malnutrition. Today these organisations are increasingly looking to the private sector to facilitate the populations’ nutritional transformation. Both the World Bank and the United Kingdom’s Department for International Development are major donors to the state’s nutrition programme. The promotion of sustainable and healthy eating is slowly being replaced by the promotion of consumable goods that are sold as supplements to a nutrient deficient diet. Bositu’s story provides the first indication that these programmes are taking effect. But the story does not proceed quite as those organisations might have imagined and raises several questions for future research. 1. Horlicks is not being marketed as an infant milk substitute and does not meet current WHO standards for such substitutes. Nonetheless Bositu incorporated the drink into an established set of practices for supplementing breast milk when babies are seen to be underweight. Many of her Adivasi neighbours, who do not own livestock, feed their babies a milky-coloured fermented millett drink made from grain grown on their own land when they are considered too thin. Like the village’s high caste farming households Bositu was able to supplement breast milk with a store-bought powder and fresh cow milk. Does this imply that notions of “wellness” (an awareness of and responsibility for personal nutrition and healthy lifestyle) that multi-nationals imagine travel with their products are already present in rural households? Or are these established practices of dietary supplementation embedded in quite different understandings of health, personhood, and bodily substance? 2. Horlicks and other products such as Vitingo are marketed for their health-giving qualities. But a quick glance at the ingredients shows that they are also laced with sugar. What kinds of evidence is being harnessed to these companies’ health claims? Horlicks was relaunched as a clinically proven health drink following a study by India’s National Institute of Nutrition and they have now established their own “Horlicks Nutrition Academy” to carry out ongoing research. But nutritional experts also point out that supplements have little nutritional effect when consumed, as they often are in poor households, without other foods. Meanwhile, Bositu’s use of Horlicks as a breast milk supplement, which would greatly concern nutritionists, illustrates how consumer practices can deviate from “clinical studies” that purport to show the effectiveness of products. The lack of regulation of the nutraceutical sector in India is one reason why it has become attractive to investors. While nutraceuticals have lower profit margins than pharmaceuticals, they require a fraction of the R and D investment. GlaxoSmithKline, for example, is currently shedding its pharmaceutical portfolio in the United States at the same time as it is expanding its health foods portfolio in India and China. What role is science playing in the creation of new markets here? 3. Bositu gave her babies the classic version of Horlicks rather than the new “bottom of the pyramid” Asha version. In fact there is no evidence of Asha being distributed in this part of Southern Orissa, despite having been rolled out in neighbouring districts of Andhra Pradesh as far back as 2009. Horlicks remains too expensive for the majority of Bositu’s Adivasi neighbours, although it is now being sold in a town four kilometres away. On the one hand places like Goudaguda represent untapped opportunities for the expansion of existing product lines. On the other hand, as frontier markets for “bottom of the pyramid” goods, they are spaces where people have to be actively moulded into reliable consumers, for example by introducing scientific objects such as “vitamins” and “minerals” and concepts such as ‘nutrition’ and ‘wellness’. In frontier markets, Bositu’s case suggests, the future trajectories of nutraceuticals remain underdetermined by their mechanisms of marketing and distribution. We will be addressing these questions about the kinds of persons, relationships, bodies and institutions that are being shaped by the introduction and expansion of nutraceuticals in India through future research in the area.